The Chairman and CEO of Cantor Fitzgerald L.P. shares the uplifting power of passion. Howard W. Lutnick: Optimism and passion. HWL: Alone time with my wife. HWL: No, I am present when most people are absorbed by their phones. HWL: Inconsistently. If something is important, they’ll find me. HWL: Passion and optimism don’t burn out, they are uplifting. 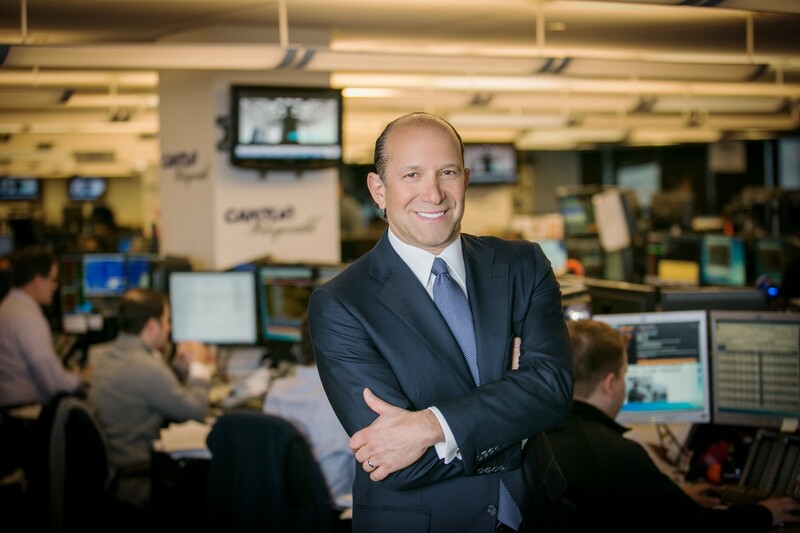 Howard W. Lutnick is Chairman and CEO of Cantor Fitzgerald L.P., one of the world’s leading financial services firms, and Chairman and CEO of BGC Partners Inc., a leading global brokerage company primarily servicing the wholesale financial and real estate markets. Mr. Lutnick guided the rebuilding of Cantor Fitzgerald following the devastating September 11, 2001 World Trade Center attacks that claimed the lives of 658 of the firm’s 960 New York-based employees. Since then, Cantor has provided over $180 million to help the families of the firm’s employees who were lost on that day. Cantor and its affiliates now have over 4,000 employees in New York and over 10,000 globally. Mr. Lutnick graduated from Haverford College in 1983 with a degree in economics and joined Cantor Fitzgerald the same year. Howard served on the Haverford College Board of Managers for 21 years, including as vice-chair and chair, the Zachary and Elizabeth M. Fisher Center for Alzheimer’s Disease Research, the Intrepid Museum Foundation and the National September 11 Memorial Museum. Mr. Lutnick received the Navy’s Distinguished Public Service Award, the highest honor granted by the Navy to non-military personnel. Howard also was the recipient of the 2016 Lifetime Achievement Award at Haverford. Mr. Lutnick and his wife Allison have four children.